Collectors of Japanese blades will find few examples of quality craftsmanship better than the Red Dragon Damascus Tanto. 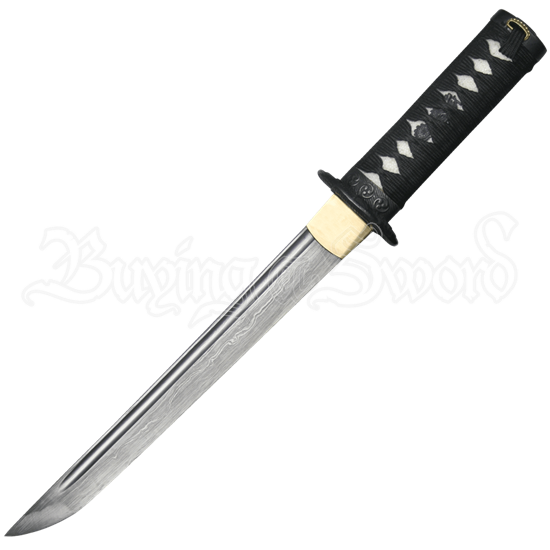 This functional tanto is crafted from high carbon Damascus steel with a fuller and real ray skin handle. Black cotton wraps the handle, and a dragon tsuba finishes the design of the oriental knife. The Japanese tanto comes with a red lacquer scabbard wrapped with black cord and a deluxe wooden box for gifting or storage. Stylish and functional, this hand-forged tanto is sure to become a favorite piece to display or pair with a katana or wakizashi.